Fun and laughs for all! 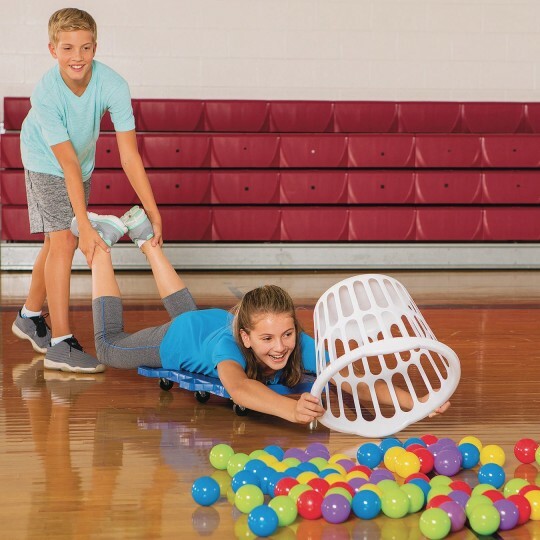 Kids will have a blast playing this real-life adaptation of the Hungry Hungry Hippos kids’ game. One player lies flat and comfortably on a large 2-person scooter with a 28"L x 19"W deck and tries to capture the balls to bring home, while their partner provides the locomotion by pushing on their feet. 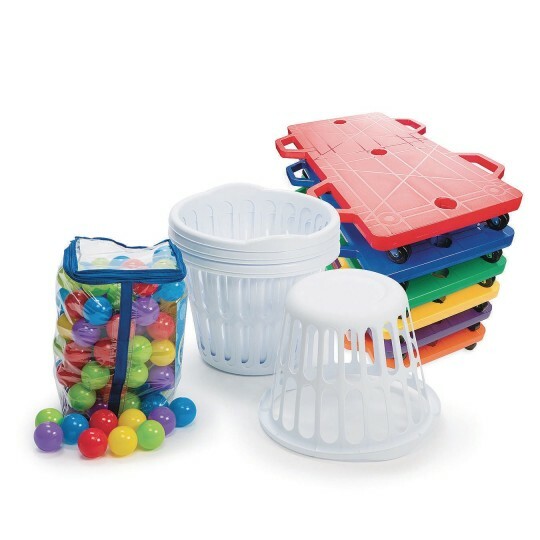 Includes 6 Spectrum™ 2-Person Scooters, 100 large 3" ball pit balls, and 6 laundry baskets to capture the balls with. Activity suggestions available for download.